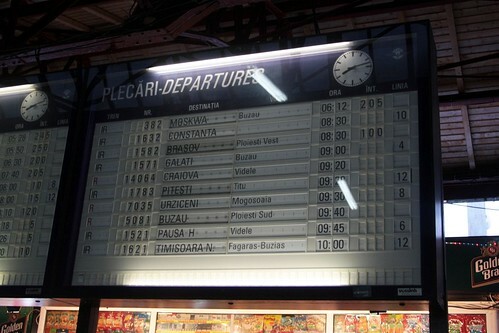 Travelling from Bucharest, Romania to Kiev, Ukraine by train, via Buzau, Bacau, Suceava, Cernauti and Lvov. 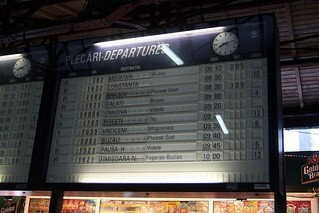 Our train originated at Sofia in Bulgaria before we boarded, and continued on to Moscow after we departed. The change of gauge occurs at the Ukrainian side of the border of Vadul Siret, where the train is transferred from 1435mm standard gauge bogies to those of 1520mm Russian gauge.